Founded in 1949, Nitto Tire is driven by passion and innovation. Nitto creates tires for those who are enthusiastic about their vehicles. Their high-quality tires excel in off-road performance and on-road comfort. Each tire is manufactured using Nitto’s state-of-the-art technology that produces exceptionally uniform tires that are easier to balance for a smoother ride. Their tire sizing, tread patterns, and tire compounds combine modern aesthetics with cutting-edge technology. This technology has helped them create some of the most radical-looking tire designs on the market today. These memorable designs are the result of state-of-the-art development, quality engineering, and rigorous testing procedures. Proven Off-Road Performance. The Terra Grappler offers year-round, all-terrain performance. The tread pattern void ratio is balanced for excellent off-road traction and on-road handling. Coupling joints between tread block elements reduce excessive flex for better traction and steering response on and off road. High-density siping helps resist hydroplaning by cutting though the thing film of water on the road surface. This provides outstanding traction in rain and snow. The lugs on the shoulder are staggered to improve traction in deep sand and loose gravel. 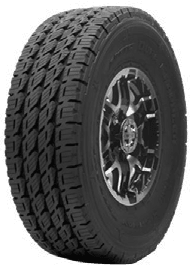 The all-new Trail Grappler M T blends some of the off-road performance of the Mud Grappler with the on-road comfort of the Terra Grappler to create a tire that is both aggressive and quiet. The Dura Grappler is in it for the long haul. 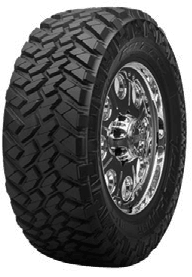 This highway terrain tire provides outstanding treadwear life and ride comfort.